As part of our 5th birthday celebrations we're giving away awesome prizes the whole week long! 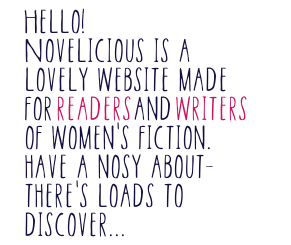 At Novelicious we're passionate about helping and informing aspiring writers, and today our prize is for all the budding authors among you. The Marsh Agency's Hannah Ferguson - super agent to authors such as Miranda Dickinson, Ali McMamara, Giovanna Fletcher and our very own Anna Bell and Kirsty Greenwood - has kindly offered a 3 chapter and synopis critique for one lucky winner! To enter, we want you to write a 500 novel opening on one of the following themes: 'The Party', 'The Birthday' or 'The Gift'. Write your entry in the comments section below. At the end of the week we will pick five shortlisted entries which we'll send to Hannah, where she will choose the winner! In the next part of our series, author Sophia Tobin talks about the appeal of historical fiction and why she loves writing it. Recently, I was asked why I decided to write historical fiction. Of course, it's because I love reading historical fiction – but there are two main reasons why reading it and writing it appeals. The first is escapism. The Silversmith’s Wife has themes – murder, love, secrets, redemption – that could equally have been explored in modern-day London. But setting it in 1792 – a time when revolution could easily have been on the cards for England – gave it a frisson of excitement, and allowed me to escape completely into another world: a London that is both familiar, but very different from now. When I read a book, I want to be completely absorbed and wrapped up in the world the writer is creating for me. My goal was to create the same feeling in my readers, and setting it in the past gave me that distance and sense of escape. The second reason might seem to conflict with the first. It's because I love facts. I used to sit in Berkeley Square on my lunch break and wonder what it looked like in the eighteenth century – when were the huge plane trees planted? (1789, by the way); was the nearby pub, The Running Footman, open then? (yes, the first reference I’ve found to it is from 1782). I love those little details. This month, author Sophia Tobin and Senior Commissioning Editor at Simon & Schuster, Clare Hey, reveal the cover of The Silversmith’s Wife. Clare: The journey of designing the cover is both one of the most exciting parts of the publishing process but it can also be one of the most difficult. It is certainly one of the most important – we all do judge a book by its cover so it’s vital we get it right. As an editor, I often have a clear sense of potential cover approaches right from the moment I first read a manuscript. But I used to work in the Art Department at HarperCollins (as the Studio manager) and so I know that designers are not keen on heavily prescriptive briefs – on top of the synopsis, a designer will need to know where a book sits in the market, where it will be selling, who the reader is, and what the competition is. So I let Mel, the designer, know the keys things about this novel: that it’s set in London in the winter of 1792, that it’s perfect for fans of Tracy Chevalier, and that at its heart is the story of a silversmith and his wife. I also mentioned to her that this novel brings to mind those old antiqued silver mirrors and delicate silver filigree and I included some pictures to demonstrate that. I confess that I wasn’t sure whether Mel would go down an illustrative or photographic route – both would work for the novel – so I was really pleased to hear that she had read the ms. This isn’t something that designers always have time to do, but it really helped in this instance. The cover went through several stages before we hit upon the final look. First Mel tried an illustrative approach, with delicate silver foil and a woman centre stage. I really liked this, but something didn’t feel quite right. It was quite young in feel and, though beautiful, I wasn’t sure that the reader would know what they were getting if they picked this book up. So we decided to try a photographic approach, trying an image of a women in a period street. But again it didn’t feel quite right. There are so many people at S&S who have read and loved this book that we kept asking ourselves: is this cover special enough for a book this good? And when the answer was no, we kept pushing ourselves. This month, author Sophia Tobin and Senior Commissioning Editor at Simon & Schuster, Clare Hey, talk about the writing of a second novel during the build up to the launch of the first. Sophia: As The Silversmith’s Wife hovers in the background, waiting to be launched on the world, I’m working on my next book. So while I’m spending quite a lot of time writing and talking about my first book, I’m also getting into the world of the second. When I wrote The Silversmith’s Wife, I didn’t really have a method, and I also didn’t mention it to people much. I can’t get away with that now. Friends make sweet-natured, careful enquiries about it, as though discussing the health of a small toddler. ‘Coming along OK?’ they say. Family members gently query word count whilst offering biscuits. However, so far, my book and I are getting on just fine. The poor little mite doesn’t have a name yet, but it seems robust and likes to wander around pushing things over and asking questions. But I recently wondered whether my method of writing should be different this time. I began The Silversmith’s Wife by writing 40,000 words without reading any of them back. I would soothe myself by thinking of it as organic, a lovely word which made me feel better about not really knowing what I was doing. The truth was, I really loved it: writing with no pressure, and writing just what I wanted. Much later, it took a lot of carving up to get it into shape, and I wondered whether I’d made a mistake being so free at the beginning. Behind the Scenes at a Publishing House – Proofing: the fine art of pickiness. Plus a giveaway! In the next part of the series, author Sophia Tobin and Senior Commissioning Editor at Simon & Schuster, Clare Hey, talk about what it's like to receive the proof copies of The Silversmith’s Wife. Sophia: On a Saturday morning two weeks ago, I opened the door to a cheery postman cradling an enormous jiffy bag in his arms, with Simon & Schuster stamped on the front. I was so excited that, in the process of extracting the contents from their wrapping, I somehow mangled the jiffy bag, releasing enough fluff from its lining to make my bedroom resemble a newly shaken snow globe. But this didn’t worry me, because lying before me were my proofs; a solid block of a manuscript, bright white in the sunshine, like a pristine wedding cake that’s so beautiful, no one wants to cut it. Behind the Scenes at a Publishing House – What will the readers think? In the next part of our series, author Sophia Tobin talks about the process from her perspective, as she looks forward to receiving her proof copies. We're getting close to the day when I will see the proofs of The Silversmith's Wife, and hold the book for the first time. In a way, it feels like that moment will break the book's connection with me – it will become its own entity. Since the day it was introduced to its professional family – my agent, my editor Clare, and the other people who have worked so hard on it – I have learnt to see it not just as mine but through the eyes of others too. It's a privilege, but it's also a big contrast to how I thought of the book at first. As a book which has murder at its heart, but which is also a love story, I've never been that keen on labelling The Silversmith's Wife. However, one label I'm very happy with is historical fiction. Through all its changes – from my first hurried notes to the very last line edits – it has always been sure of its time and place: eighteenth century London. For me the past is a vivid, disquieting, but always exciting place to visit. As I began the book, I was just writing for myself. I had one first 'go' at the story without reading it back at any point. I wanted to find out what the plot was without scuppering myself with self-doubt (I had no idea who had committed the murder). I hesitate to call it a first draft – it was nowhere near as polished as that – but it was 40,000 words, and it gave me the backbone of my plot and a few surprises. For example, Digby, the nightwatchman who is one of my main characters, was meant to appear for only two or three pages. But once he'd turned up, he had no intention of going anywhere, and stood around looking at his fingernails until I included him in the plot. Ask the Editor – What is your ideal pitch from an author? What is your ideal pitch? Caroline says: It’s always an exciting moment when you get a very very good elevator pitch: two lines or so that will sum up the book, tell you what genre it sits in and next to which other authors, put across the USP and leave you itching to read the whole thing. The right elevator pitch can mean than an editor will shuffle a manuscript up to the top of their reading pile/mountain and that pitch will also help them do part of their job: in a flash, they can see where this book would sit in the market, how they would package it, what makes it so unique and a must-have. It’s like starting to make a cake and realising someone has already measured the ingredients out for you.